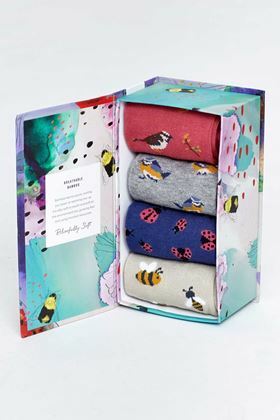 Thought's exclusively designed birds and the bees socks make the perfect gift this season. Inspired by nature this gift pack contains four different designs. 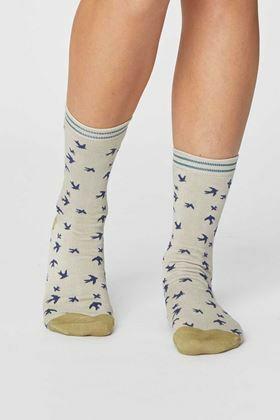 Thought's exclusively designed bird print socks are available in three new season colours for spring. In a super soft bamboo fabric, these breathable socks are anti-bacterial and kind on your skin as well as the planet! 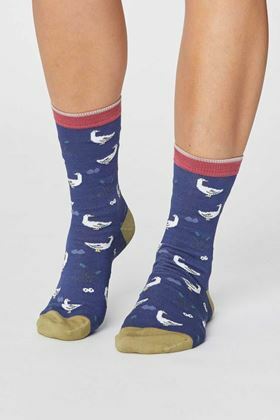 Thought's exclusively designed bird socks are available in three new season colours for spring. 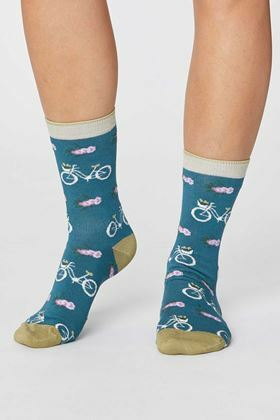 In a super soft bamboo fabric, these breathable socks are anti-bacterial and kind on your skin as well as the planet! These women's bamboo socks feature an exclusively designed spot stripe print and are available in three new season colours for spring. 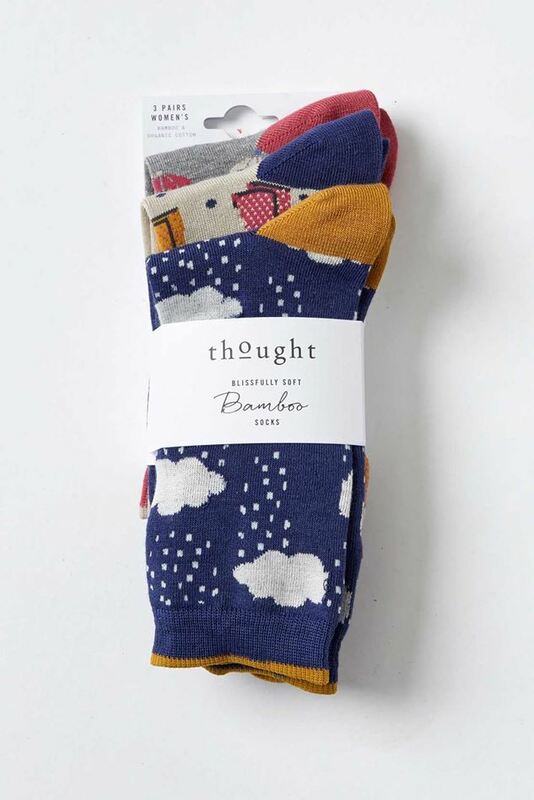 In a super soft bamboo fabric, these breathable socks are anti-bacterial and kind on your skin as well as the planet!